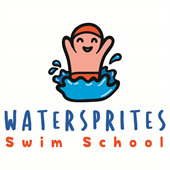 To enroll your child/children at WaterSprites Swim School, please fill out the form below. You will not be charged or placed into a class until you have spoken with a scheduler in person. If you choose to enroll yourself through the parent portal after completing the registration, we now offer that option. To determine your child's ribbon level, you can take the quiz on our webpage. Once you know what ribbon level your child is, you may request a class or classes in the comments section at the bottom of the registration form. You may also enroll yourself. Please note that you may not delay the start date of your class once enrolled. If you are enrolled in a class, you must pay for the spot regardless of attendance. including, but not limited to, paralyzing injuries and death. to pay all costs associated with medical care and transportation for the participant. I have noted on the back of this form any medical/health problems of which the staff should be aware. ALL children under three are required to wear a Happy Nappy brand, reusable, washable swim diaper regardless of whether or not they are potty trained. All children over three, who are not potty trained, are required to wear a snug fitting reusable, washable swim diaper as well. This is for the health and safety of all our swimmers. By clicking agree, I herby grant and authorize WaterSprites Swim School the right to take, edit, alter, copy, exhibit, publish, distribute, and make use of all pictures or video taken of WaterSprites students and families to be used in and or for legally promotional materials including, but not limited to, newsletters, flyers, posters, brochures, advertisements, fundraising letters, annual reports, press kits and submissions to journalists, websites, social networking sites and other print and digital communications, without payment or any other consideration. This authorization extends to all languages, media, formats and markets now known or hereafter devised. The authorization shall continue indefinitely, unless I otherwise revoke said authorization in writing. I understand and agree that these materials shall become the property of WaterSprites Swim School and will not be returned. I hereby hold harmless, and release WaterSprites Swim School from all liability, petitions, and causes of action, which I, my heirs, representatives, executers, administrators, or any other parents may make while acting on my behalf or on behalf of my estate. Tuition is due the on the first of the month. You must have a card/account on file that can be charged. If you wish to pay tuition manually, you may do so in person or via our parent portal prior to the first of each month (accounts with zero balance will have no charges.) Tuition will be prorated based on the start and stop dates of swimmers. We do not offer make-ups, refunds or credits for missed lessons.